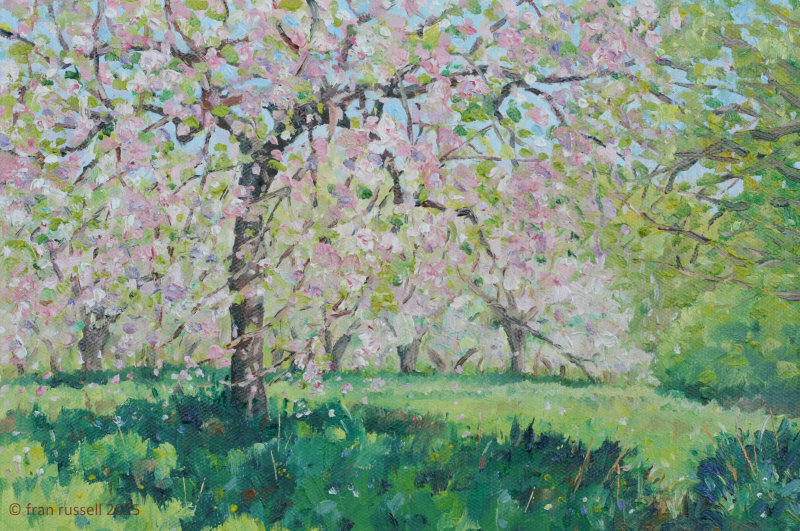 I returned to the old apple orchard that I had painted in early April when there were no leaves on the trees. By the 2nd week of May, the sight was dramatically different with a beautiful show of blossom. I am very pleased to announce this painting has been accepted in the Artist Category for Patchings 2016 Competition/Exhibition. The exhibition at Patchings Art Centre, Nottinghamshire runs from June 9th to July 24th.